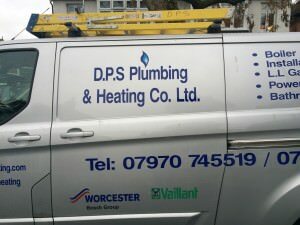 DPS Heating & Plumbing was set up in 1995 by David Smith. David was already a highly experienced plumbing and heating engineer but wanted to be able to offer a better and more personal service to customers in West London and Middlesex. Since then, DPS Heating & Plumbing has built a very loyal customer base, both domestic and commercial and, whilst still a small company, now runs a fleet of vehicles to service its customers. In 2013, Ralph Costello became a partner in the business, bringing additional skills and expertise to the company, as well as enabling both David and himself to manage the business more proactively. Despite the passage of time and the growth of the company, the vision hasn’t changed and everyone who works for DPS Heating & Plumbing is completely committed to offering the best possible service to every single customer we work for. We understand that the better we look after our customers, the better we look after ourselves as our clients keep using us and recommend us to other people and organisations. We’d like to take this opportunity to thank all our customers for their continued business and for their support. Our accreditations include Gas Safe up to 70KW (229464), City & Guilds and iphe and we are also approved installers of many different appliances, including Vaillant and Worcester Bosch. We have professional and public liability insurance. We are proud to support a number of charities, including the NSPCC, the Dogs Trust and Action for Blind People.